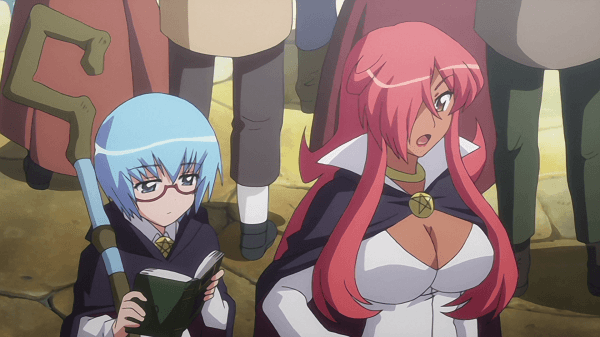 Despite being a long running light novel with an anime adaptation spanning four seasons, Zero no Tsukaima, better known as The Familiar of Zero, has largely been passed over in the West. Outside of manga localizations, the only attempt at bringing the series to North America previously was met with failure and eventual license expiration. 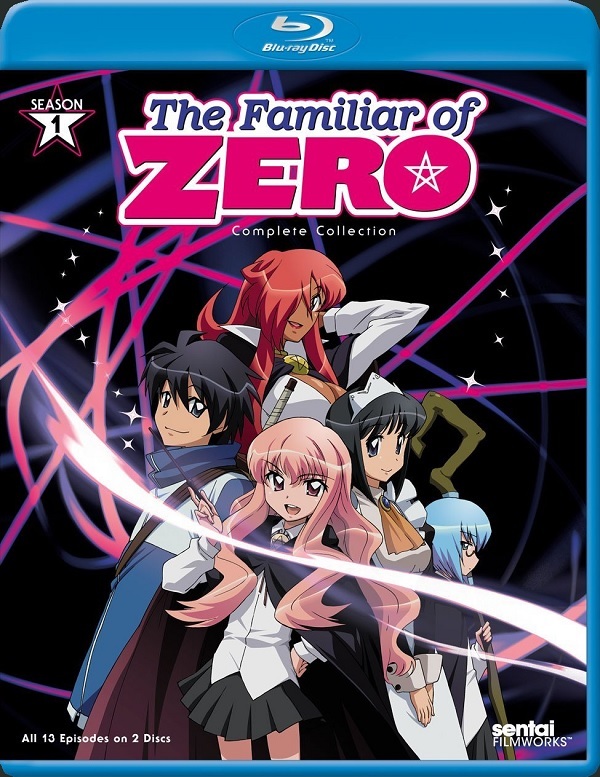 Now, Sentai Filmworks is bringing The Familiar of Zero’s first season back to the States and this time it is on Blu-ray but is it worth picking up at all? 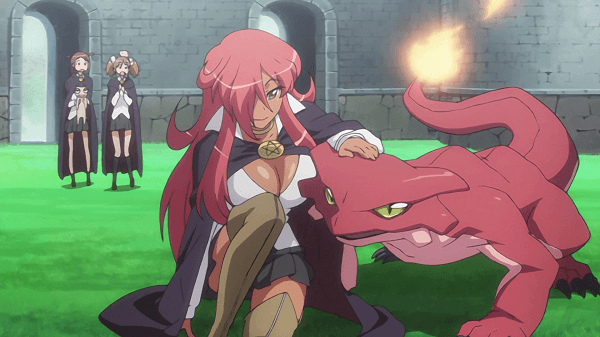 Tristain Academy is home to a large variety of noble students and in this world, the only way to be a noble is to have magic power. As such these young nobles attend the school to practice their craft and learn the ways of magic from the various teachers at the school. However despite everyone there being gifted with magic… some are less gifted than their peers. Despite being from a noble house with a prestigious lineage, Louise Françoise Le Blanc de La Vallière is so bad with magic that she has earned the nickname Louise the Zero as she has zero chance of ever casting a spell correctly. Instead anything she attempts results in an explosion that regularly destroys the classroom. With the second year’s summoning ritual just around the corner, Louise is desperate to prove to everyone that she can summon a glorious familiar that will put everyone else’s to shame. After pretentiously performing the spell in front of everyone, Louise manages to cause yet another explosion but when the smoke clears a normal looking teenage boy is left lying on the ground. Unfortunately for her, the summoning is binding and she must take this boy, Hiraga Saito, as her familiar. Unfortunately for him, Saito is now in a magical medieval land far different from the normal Tokyo lifestyle he previously enjoyed. Now he has to live the life of a familiar, which in his case sees him sleeping on hay, eating stale bread on the ground, washing Louise’s clothing and underwear, and regularly being abused by his master. Being the fish out of water that he is, Saito isn’t about to take his new life sitting down and he must now deal with the social inequality between peasants and nobles. Even when hints about a way home and evil machinations happening within and around the country, Saito has to be more concerned about how Louis will react anytime he looks at a different girl. Despite seeming like a standard romantic comedy at the start, The Familiar of Zero will surprise many viewers who believe it to be fluff with no substance. Very quickly viewers are introduced to the problems that exist in the world where nobles can openly abuse their powers to abuse servants and peasants. Moving beyond that, the series takes advantage of the political power and influence that the students hold to create a relatively intriguing driving plot for this first season. Running alongside this plot we have the burgeoning romance between Louise and Saito, which develops at a nice pace with Louise playing an iconic sadistic tsundere and Saito being an actual likable male lead. Saito is the exact opposite of Louise in many ways as he often refuses to take his punishments lying down and is more than willing to fall for the wiles of a girl which often sparks a bout of punishment from a jealous Louise too prideful to openly admit her feelings. Throughout this first season we are introduced to a number of characters and although a few of them aren’t explored as much as one would like, we actually are introduced to a bit of backstory concerning Tabitha as well as Siesta with her development playing a major role in the latter half of the season. 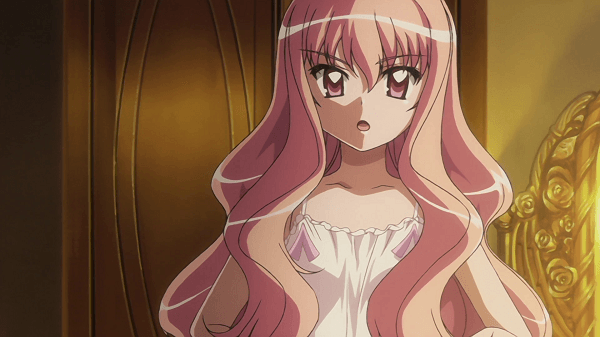 Alongside those developments the series avoids treading too close to potential harem territory and instead we are treated to a believable growing relationship between Louise and Saito as she begins to see him as something more than a mere servant even if she isn’t quite ready to say what she feels out loud and he grows to be concerned for her well being. Now here is the key aspect for those who might have went after this series back in 2009 as that release was only available on DVD. With this release being on Blu-ray the overall sharpness of everything in the series is much better than what fans may remember and despite being a series originally produced in 2006 it stands up incredibly well in a number of areas. This Blu-ray release also really helps the bright colors used throughout the series really pop which is a plus considering the magic and the design of the characters. That being said, there are some minor issues here and there with odd looking background characters and an occasional simplistic looking backdrop mixed in with a few of the better designed areas. 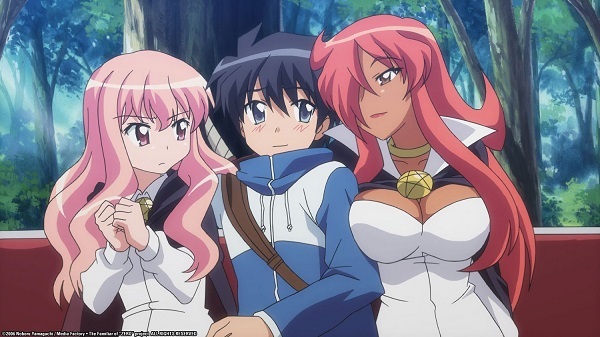 As far as fan service is concerned, this release contains the very little as it is usually only provided through some skimpy costumes or changing scenes with Louise, though Kirche and Siesta have a fair share as well but nothing most anime fans would even bat an eyelid at. Now it is worth noting that Sentai Filmworks has not recorded a new English dub for this release which is… unfortunate. Now it is nice that this release contains an English dub, rarely does an English release sound as bad as the voice work in The Familiar of Zero: Season 1 does. Only Louise, performed by Cristina Valenzuela is passable while every other character, including Saito’s voice actor Jonathan Meza is terrible. Every character, ranging from background characters to main side-characters Guiche, Siesta, Kirche, and especially Henrietta are all poorly voiced. Rarely do I choose to listen to the Japanese voice track for releases like this, however the voice acting was simply that unbearable compared to the original Japanese voices. Even with Valenzuela’s passable performance she still pales in comparison to Rie Kugiyama’s portrayal of Louise. If nothing else, it is best for viewers to simply take this release and listen to the Japanese voice track and only attempt the English dub if they really want to test themselves. Anyways, as far as the background music is concerned, it is likable for the most part as it fits the theme of the series nicely but is generally forgettable. For the opening theme we have “First Kiss” by Ichiko which is a nice opening theme fitting the series and the ending theme is “Honto no Kimochi” sung by Rie Kugiyama which is also fitting, especially for the final episode. This release of The Familiar of Zero: Season 1 comes with a bare bones set of bonus features as it only features a seven minutes of extended episode previews which are presented in Japanese and are almost the exact same as the original previews except they include a few extra lines of dialogue. Rounding out that we have Japanese promotional videos, a clean version of the opening animation and ending animation, disc credits, and trailers for other Sentai Filmworks releases. 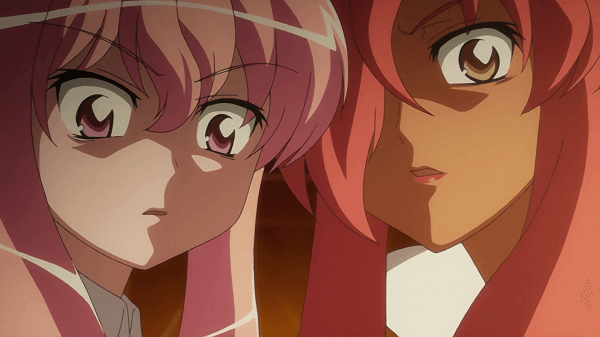 With a great sense of humor with plenty of slapstick comedy and actual romantic development The Familiar of Zero Season 1 is an enjoyable release and considering the anime has since spawned three sequels, it is easy to see why. 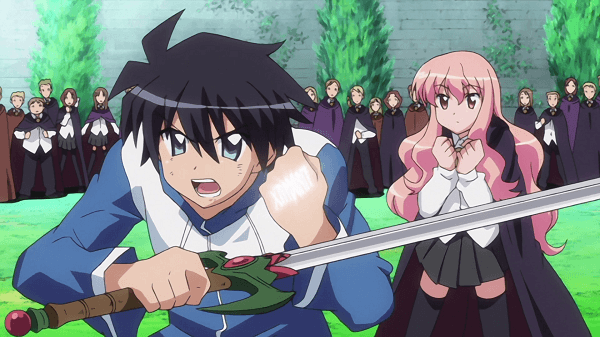 With likable characters, an interesting setting that viewers get a small taste of in this first season, the great couple that Louise and Saito make, and how hilarious the show can be when they trade barbs with one another. Unfortunately despite this Blu-ray release giving viewers a nice jump in quality by making everything in the show look a bit better, the remaining sub-par English dub begs for the release to be watched in Japanese only, but I have a feeling that won’t be much of a problem for many viewers.